Montrose Emergency Center – Open 24 Hours! 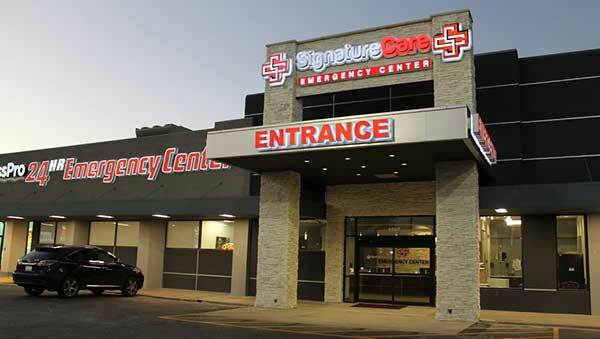 SignatureCare Emergency Center in Montrose, Houston TX 77006 is a fully-equipped, freestanding 24-hour emergency room providing hospital-level ER care close to your home or office. Licensed nurses and board-certified physicians at our Montrose emergency room provide high-quality emergency care without the long wait times of major hospitals. Our expert health care providers can treat common illnesses, minor injuries, and critical emergencies for adults and children. Our Montrose ER offers personalized care from board-certified physicians in a convenient, accessible location. We strive to provide communities around Montrose, Houston TX 77006 including Greenway Upper Kirby, River Oaks, Hyde Park, Rice Village, Houston Museum District, Washington Avenue / Memorial Park, Downtown Houston, Midtown Houston, Fourth Ward, Museum Park District, East Downtown, Third Ward, Hyde Park, Rice Military, Central Business District, Theater District, Boulevard Oaks, West University and nearby areas with quality emergency medical services and rapid response emergency care that compares to or surpasses hospital standards. No long waits. Most patients wait ten minutes or less at our comfortable and state-of-the-art facility. For patients who require extended treatment, we provide transportation to local area hospitals. We accept most major insurance plans and Workers’ Compensation. Each member of our staff is a certified health care professional and the treatment of our patients is our highest priority. Dr. Samar Yusuf is a board-certified Emergency Medicine physician. He was born in India and moved to Houston when he was 5 years old. After graduating from UT Austin, he went to medical school at Texas College of Osteopathic Medicine in Fort Worth. He continued his residency training in Fort Worth at John Peter Smith Hospital in Emergency Medicine. He has also done a fellowship at UT Houston focusing on Quality in Medicine. After the fellowship, he became Assistant Medical Director at Memorial Hermann Southeast and then the Interim Medical Director. He joined SignatureCare in 2015 with the opening of Montrose location, and currently serves as its medical director. Dr. Yusuf enjoys traveling with his wife, playing with his dog, mountain biking, and indulging in the amazing restaurants Houston has to offer.